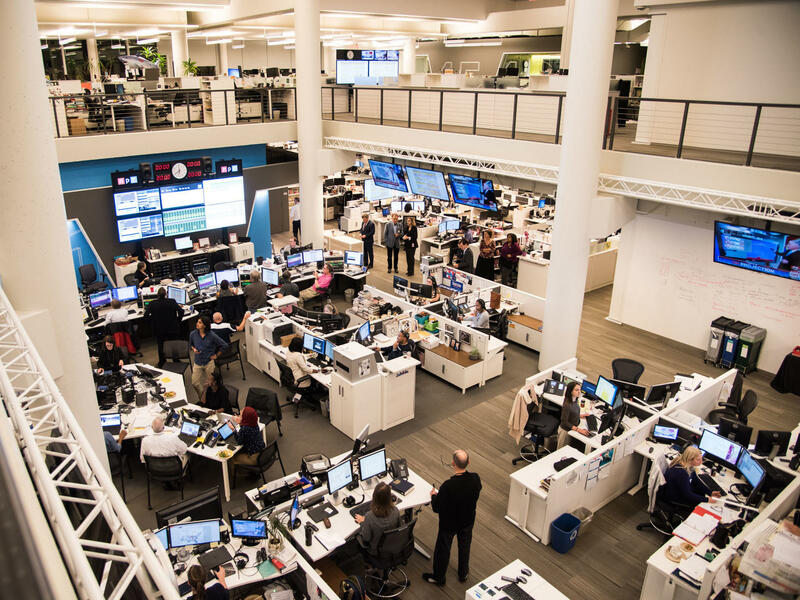 In a note to staff today, Chief International Editor William Dobson announced the NPR International Desk's expansion in Asia. I am thrilled to announce that NPR's International Desk is expanding in Asia. Julie McCarthy has already circumnavigated the globe for NPR. Before being posted to New Delhi, Julie reported from Tokyo, London, Jerusalem, Rio, and Islamabad. For the past six years she has crisscrossed India, Bangladesh, Nepal, and even the kingdom of Bhutan to bring us distinctive, rich, and poignant stories from South Asia. She has infused her reporting with big ideas, challenging the notion of a "rising India," while rooting her storytelling in the lives of incredible individuals who achieve against long odds. For her next post, Julie will be opening NPR's new bureau in Manila, giving the network a vital outpost in Southeast Asia. It comes at a crucial time: the Philippines, for decades a reliable U.S. ally, is being drawn into China's orbit, as Washington and Beijing circle each other in the waters of the South China Sea. At home, the Philippines battles an Islamist insurgency in the south, as President Duterte's controversial "war on drugs" and populist policies challenge international norms. Southeast Asia is teeming politically, culturally, and economically, and Manila will offer NPR the ideal perch to bear witness to the fault lines of this strategically significant region at a time of great tumult. I am also excited to announce the newest addition to the International Desk: Lauren Frayer will be joining us as our new India correspondent. Lauren is obviously no stranger to NPR's airwaves. You have heard her smart, indefatigable, and engaging reporting on some of the most important stories across Europe, including the terror attacks in Paris, the migrant crisis in the Balkans, and the Catalan independence movement. Lauren has reported for the international desk on month-long stints in Islamabad, Istanbul, Seoul, Jerusalem, and London, as well as worked extensively for the Los Angeles Times, CBC, and Deutsche Welle. Lauren's overseas career began in the Middle East, where she was an editor on the AP's Middle East regional desk in Cairo, served as an AP correspondent in Baghdad, and covered the 2006 Israel-Hezbollah war in Syria and southern Lebanon. In India, Lauren will be based in Mumbai. After many successful years in India's capital, we are relocating our bureau to India's largest city, its financial center, and the heart of Bollywood. We are excited about the dynamism, energy, and storytelling that Lauren will bring to a place with no shortage of ambition and spirit. Julie and Lauren will be taking up their new posts in the early summer. In the meantime, please join me in congratulating them as the International Desk goes (further) East!